With five types of drinks on the docket, we turn to the second one. 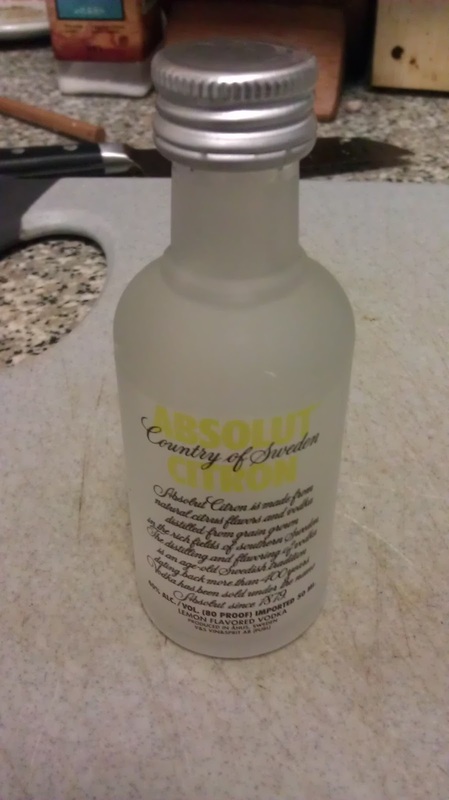 This is Citron, a mass produced lemon vodka. This continues the sampler I got oh so many years ago, that was totally begging to be drunk. Here it is in the bottle. 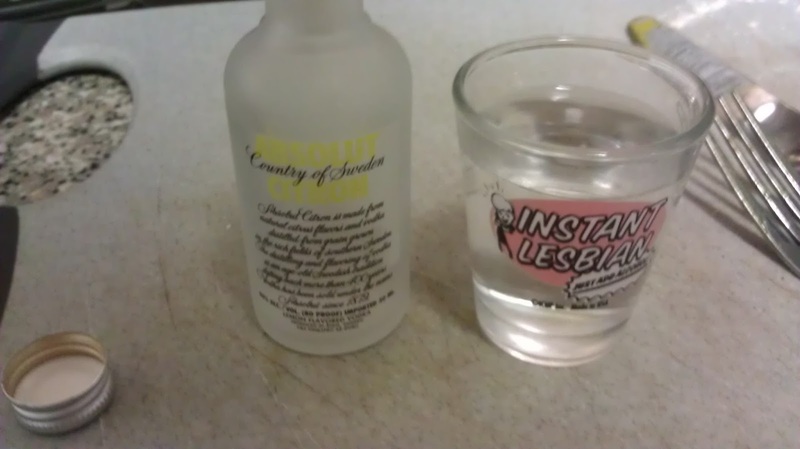 It does about a shot and a little bit, depending on how big your shot glass is. It tastes a bit lighter than I would prefer. The lemon flavouring lightens the burn as well, making it a bit more bland either way. 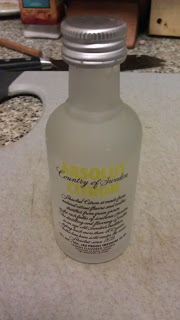 I strongly recommend making Lemon Head Vodka instead, though this will work in a pinch, since it is just easy to buy a bottle.